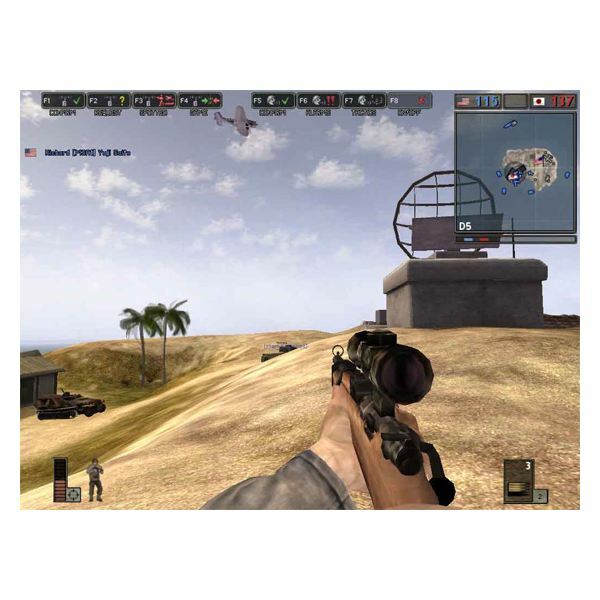 Interactive entertainment based upon concepts of war and mass human violence have been a popular genre in video games for many years, and historical events and geographical locations are commonly used as concepts upon which to base popular games. 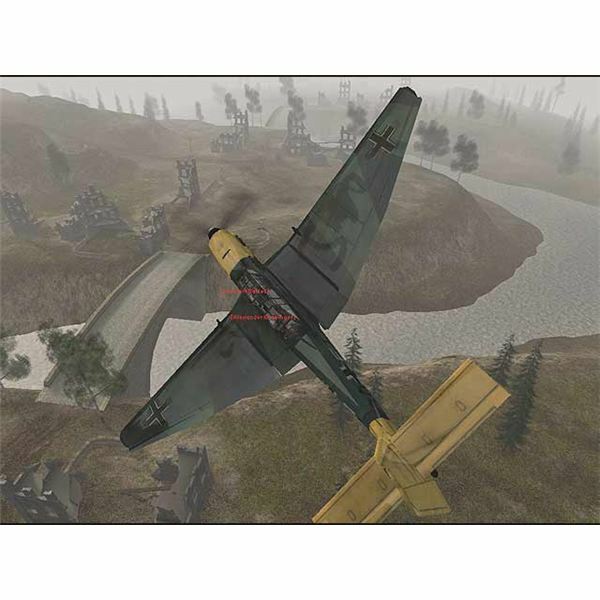 Digital Illusions has used both concepts in Battlefield 1942 to great effect to produce a fun and entertaining adrenalin ride that allows gamers to devise strategies to fit their environments. You'll fight on foot and in armoured vehicles in four theatres of war from North Africa to the Eastern Front of Russia as part of a team fighting against a foe determined to be the victor. Read on to find out what else the game features in this Battlefield 1942 review. You begin the game as a recently recruited soldier of WWII destined for one of four theatres of war; North Africa, the Pacific Theatre, Russia's Eastern Front or Western Europe. In battle you will have access to up to 35 types of vehicles and 20 different weapons to fight with as you battle next to fellow soldiers in a team-based shooter that allows you to choose between land-based, sea-based and air-based combat, very similar but much more fleshed out than GamersFirst's War Rock. You have six player classes to choose from, including assault, medic, and scout, each with its own unique capabilities and role on the battlefield. The amazing variety of vehicles and available weapons for combat make Battlefield 1942 a gem and a pleasure to play. The ability to seamlessly move from a tank to a plane to a parachute, and then back into battle makes this war title interactive entertainment with the ability to keep you on the edge of your seat. They did a really good job designing the online portion of play for Battlefield 1942, with the ability for a number of players to play and compete in battles to dominate. They have incorporated an essentially universal set of controls to allow the gamer to operate all the different types of vehicles. The reality of the battle environment and realistic physics used give the game a strategic element that becomes important on the battlefield of 1942, where the right tool for the right job can be integral to victory. Sound issues can come up with under-powered computer systems, even with the newest sound cards, you can have problems with synchronization of sound effects at times during the game. The inability to damage or blow up structures in the game seems unrealistic and takes a bit of the fun out of the game play. The game needs more variety in the mission objectives, instead of just taking over and owning control points to win, to increase the entertainment level and the desire to replay the game. Extremely intense panoramic views of realistic battle scenes beautifully rendered creates realistic action that immerses the gamer in a virtual battle environment that is as interactive as they come. Wonderful colors help to produce battle effects that add a level of realism to Battlefield 1942 that has only been seen in a handful of titles in the genre. The soundtrack is effective and enjoyable for the most part, but sparse in content at times, as often the same song will be played over and over, which can be quite annoying after awhile. Synchronization of sound effects of explosions and other effects can be a problem with under-powered computer systems, even if you install the latest sound cards you can often be watching a silent movie during a battle scene. When everything works as it should though, this game sounds wonderful and the sound effects increase the immersiveness of the battle scenes and the enjoyment level of the game. 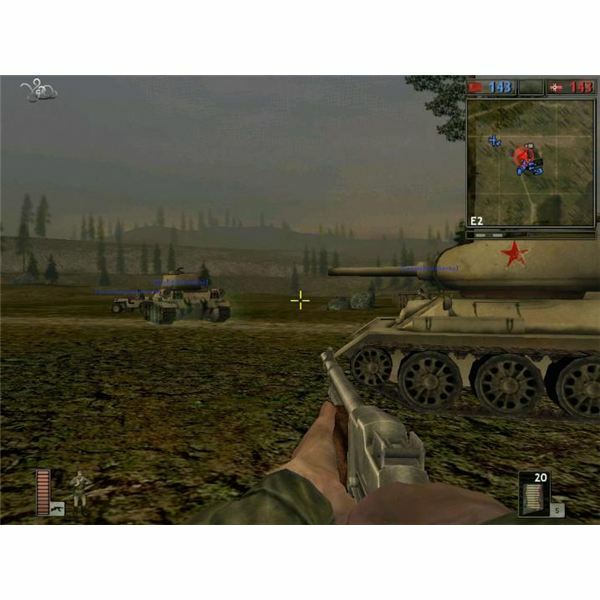 Battlefield 1942 plays like the constant adrenaline ride of a dream that draws you into realistic battle environments and immerses you in a world of constant activity. You can choose to participate in land-based, air-based, or sea-based battle environments using 35 different vehicles and 20 different weapons, and as either the Axis forces or the Allies. The realism of the physics of the vehicles, weapons and environments adds strategic possibilities depending on the battle environment. You can devise battle strategies and techniques that are effective in certain environments, like drawing armoured vehicles into cities, which gives infantry a better chance to implement a strategy to destroy the tank. The online portion of Battlefield 1942 is more fun than the single player portion of the game, and you can play with up to 64 players if you find the right server and this just improves the variety of battle and play. The creativity and abilities of truly intelligent opponents makes this option a truly fun and entertaining gem to play with. This fun, entertaining and enjoyable shooter is fun to play again and again, because you can devise and implement new ideas and theories of battlefield tactics to see if you're a born leader of men in battle, just like Battlefield 2 and Battlefield Bad Company. 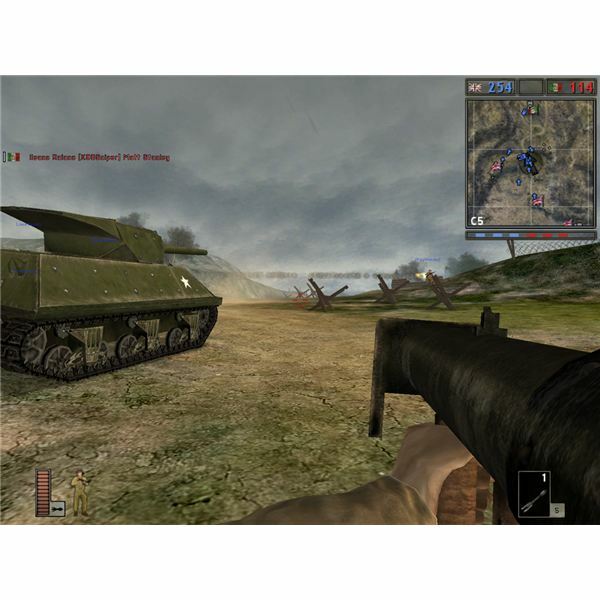 The online portion of Battlefield 1942 makes this game virtually endless, so you can play with your friends, find new friends, and get a reputation for battle effectiveness that creates a legend. 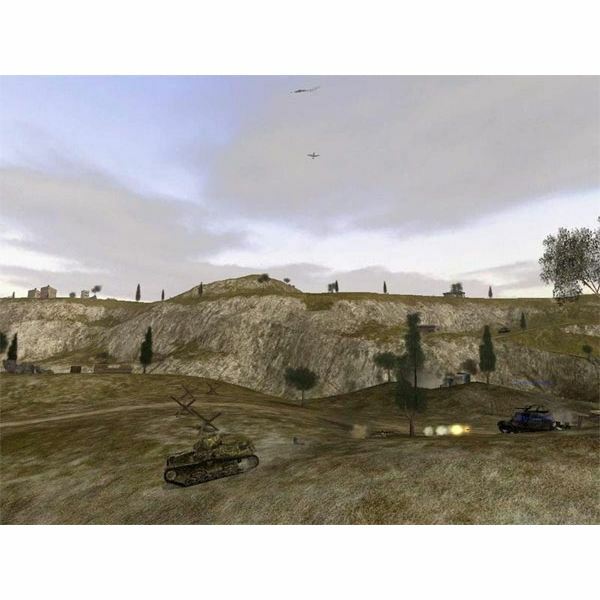 Exciting, interactive entertainment in the genre of war action games doesn't get much better than Battlefield 1942, with a balance between players dealing out armoured mayhem and ducking for cover behind rubble with rifle in hand that is hard to find. Fantastic graphics produce amazing battle scenes that combine with a good soundtrack and excellent sound effects to give this title all the bells and whistles we expect in todays games. Battlefield 1942 allows the player to devise and implement battle strategies and tactics designed to help them emerge victorious on the battlefields of 1942 and interact with team members online in competitive battles against innovative and creative opponents. 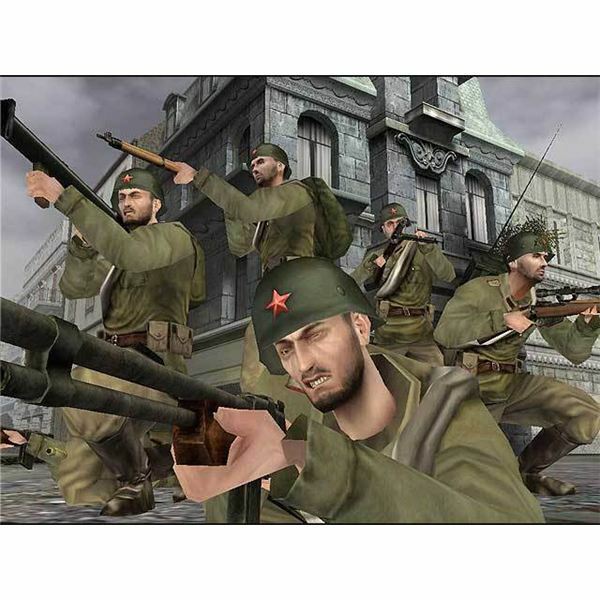 If you like a good shooter with elements of strategy you can't miss Battlefield 1942.